Yes! 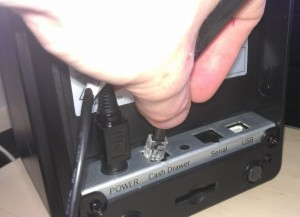 RockPOS can work flawlessly with a printer driven cash drawer. RockPOS is connected with a receipt printer and await for the printer to tell it to open. In turn, the print waits for RockPOS to tell it to print. We also can decide when to open the cash drawer, before or after printing a receipt. This can be done via the configuration section of the printer on PC.